Older Americans face food insecurity. Food insecurity impacts 8.5 percent of adults age 65 and older in the U.S. That percentage climbs to 12.3 percent in Mississippi, the state with the greatest number of older adults who experience some level of food insecurity. David Buys, MSU researcher in the Mississippi Agricultural and Forestry Experiment Station and health specialist with the MSU Extension Service, recently authored a chapter about food insecurity and older Americans in the third edition of the “Handbook of Clinical Nutrition and Aging” published by Humana Press. The book is used in advanced training of physicians and other healthcare professionals. The chapter discusses how food insecurity impacts public health. Buys said that means good, nutritious food has to be available for a person to access and an individual must know how to use the food for nourishment. Food insecurity isn’t just about hunger; it encompasses hunger, malnutrition, under-nutrition and over-nutrition. Buys explained food insecurity as a lack of nutrition as opposed to lack of food. 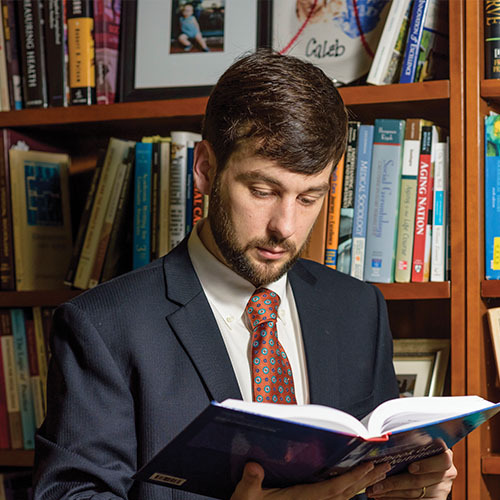 He along with Julie Locher, his former colleague from the University of Alabama at Birmingham, coauthored the chapter. After adjusting for income, race and education, food insecurity affected the activities of daily living, such that, a food insecure person had a rating like that of a food-secure adult 14 years older. 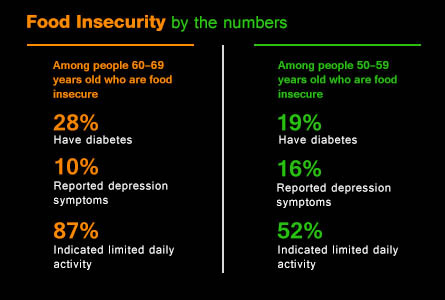 The health implications of food insecurity in older adults are considerable, specifically for those who have been admitted to the hospital for treatment of chronic conditions such as diabetes, hypertension and hyperlipidemia. Buys said food insecurity increases these individuals’ chances of returning to the hospital. Interventions discussed in the chapter include home-delivered nutrition services, one of which is the well-known Meals on Wheels program. That program and others like it fed 145 million meals to 880,000 older adults in 2010. An increase in requests for home-delivered meals jumped 78 percent from 2007 to 2010. The chapter indicated the increase in need is critical since many who are eligible are those considered most at risk for food insecurity and poor health outcomes. Buys said it can be difficult to quantify the effectiveness of interventions such as Meals on Wheels compared with other programs that address food insecurity in younger populations. He compares the program to the USDA’s special supplement nutrition program for Women, Infants and Children, or WIC. Buys said the difference in distribution can make it difficult to highlight the Meals on Wheels program’s effectiveness and obtain additional funding. If someone doesn’t have the money, the physical means to drive to the store or whatever the case may be, it impacts not only that individual’s food security level, but the health and wealth of the entire community. In addition to the chapter, Buys strives to inform stakeholders on the issue of food insecurity among older Americans through publications and ongoing research. Buys teamed with Locher again as coeditor of a special issue of the Journal of Nutrition and Gerontology and Geriatrics focused on home and community-based nutrition services due out this spring. Currently, Buys is conducting research on programs for people returning home from the hospital. In the first trial, researchers deliver three meals a day for 10 days to discharged patients in their homes. 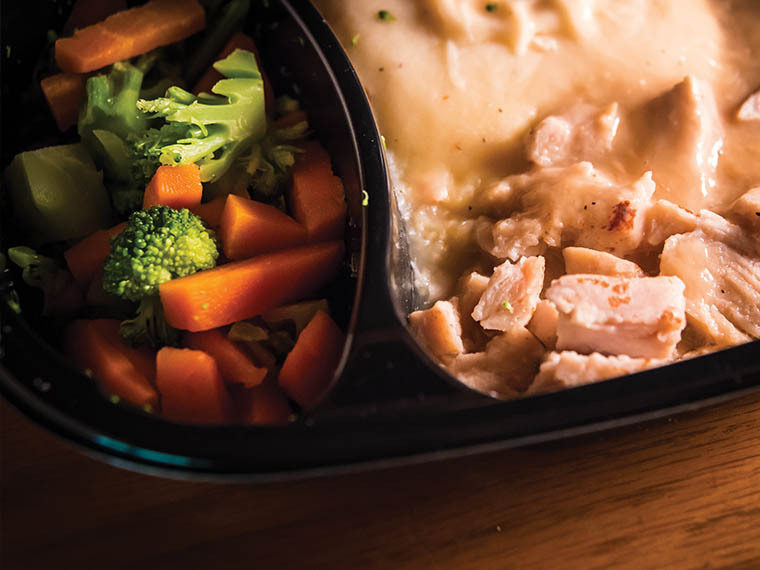 In the second trial, they provide 10 days’ worth of frozen meals upon discharge. While people should be motivated to act out of compassion and help satisfy a need, Buys said it’s important to understand that hospital readmission rates associated with food insecurity are a drain on healthcare resources as well. Passion At Work: My balance of MAFES and Extension responsibilities gives me a wonderful opportunity to conduct public health-related research that I enjoy while also applying research through Extension programming in a way that makes a real difference in individuals’ lives.